Dice tomatoes and chiffonade/thinly slice the basil leaves. Drizzle with 2 tsp olive oil, add salt/pepper to taste. Scramble the eggs, and in an omelet pan with a spray of oil, cook until egg is set. Add most of the tomato basil mixture and foldover egg omelet style. 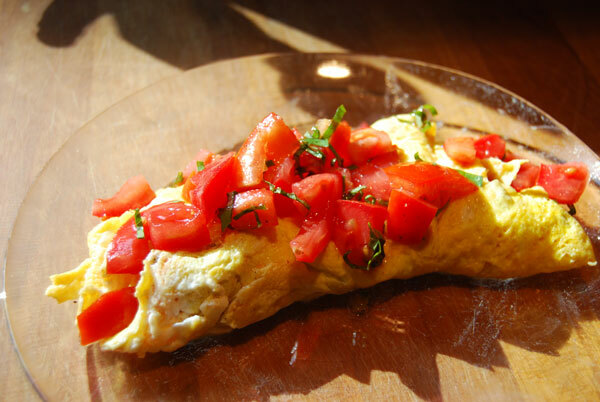 Garnish top of omelet with leftover tomatoes/basil.